Mr. Shah was arrested in December 2005, and followed by one and a half month interrogation, he soon found himself in Tihar Jail, Delhi — the largest prison complex in South Asia. In the special security jail number 3, along with Mr. Guru, the Naxalite-leader, Khobad Gandhy was also imprisoned. From sitting over a cup of tea daily, Mr. Shah’s relation with the duo deepened. Talking to The Kashmir Walla, Mr. Shah narrated the entire sequence of events — the anxious prisoners, a strangely calm convict, the chaos in Tihar — and final moments before Afzal Guru was hanged on 9 February 2013. As per schedule, the cell doors opened at 6 am, and Mr. Shah, alongside Afzal Guru, Mr. Gandhy and other block-mates gathered in the corridor. “It (corridor) was only one and a half footstep wide. That was all,” said Mr. Shah. Following the timetable, the gates were closed at 11:30 am, and then opened again at 3 pm, only to be closed at 6 pm. The cell was 12×8; had a dari (rug), a commode in a corner, and a water tap. By the evening, “Deputy Superintendent came out of the blue and asked us to shift to Block B, citing the renovation of Block A,” said Mr. Shah. The new block was behind the high walls of Block A, from where one could overhear another block, but cannot see through. It was only from earlier Block A that they could slightly peek into the compound, set for the gallows. Unlike Block-A, which had a high-fenced ground to see through lives, Block B seemed unfamiliar. “We requested to shift us back because settling down was a struggle,” in reply to which Mr. Shah was asked to compromise for a couple of days. By next day, now shifted to Block B, the mates had some food around 11 am and feeling exhausted after shifting, “We asked the administration to keep the cells open for the day,” and went to sleep around 2 pm. Craftsman, electricians, and every person involved in renovation started flowing in throughout the day, and “something strange was happening,” he said, and the entire block grew suspicious. Mr. Shah’s family had brought some home-cooked food, but him being in a hurry to see Afzal Guru, he handed it over to one of the Bangladesh based block-mate and went to cell number 1. Draped in a blanket, ‘Peer Sb.’, as Mr. Shah calls Afzal Guru, was sitting with his back towards the door. Though Mr. Shah told him that he is uncertain about the information, but preparations are going on. Soon, the words spread around, and panic made the air heavier. “Everyone was thinking that it might be any one of us,” said Mr. Shah. Time passed, and Maghrib arrived. Revisiting one of the saddest moments of his life, Mr. Shah said, “It was the schedule; Peer Sb. would always give Maghrib’s azaan (call for evening prayers),” and he stood behind Afzal Guru that evening, before they were to be put back into cells. Clearing the clutter of thoughts from the mind, he dragged everyone to eat. He, along with Afzal Guru, and another Kashmir based prisoner, Javaid Ahmad Tantray, ate together in a plate. Defying all the media reports, he claimed that they, including Mr. Guru, ate well that night. “I knew what lie ahead,” said Mr. Shah. Afzal Guru had a habit of not wasting food. “He would always preserve leftovers and shower it next morning, through the fence, near the shaheed (martyr) Maqbool Bhat’s grave,” said Mr. Shah. Crawling through such flashes of memories — of tea, food, books, home — of Kashmir, Mr. Shah spent his entire night sleepless. The movement of vehicles and people from outside would deter these memories and remind him of everything his Peer meant to him. “I realized, it was happening,” recalled Mr. Shah. “Frisking to happen,” followed it. They took Afzal Sb. 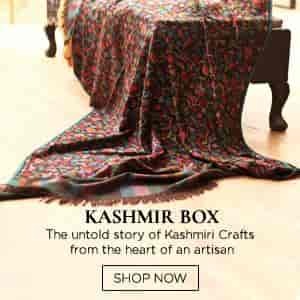 — though Mr. Shah prepared himself the entire night to hear this simple set of words, but, when it stood right in front of his barred cell — he couldn’t stand to it and broke down — going through what the name, Afzal Guru, meant to him, and to his Kashmir — he couldn’t resist but shouted pro-freedom slogans on the top of his throat. Wearing a Kashmiri pheran and Afghani topi on the head, Afzal Guru was taken back to his cell number 1, Block A, via the adjacent corridor. In the parallel world, while the Block-B was mourning, Afzal Guru started his wuzu and offered namaaz. As per Mr. Shah, from 6 am to 8 am, Afzal Guru had a long conversation on Islam, and other things with Sunil Gupta, the appointed law officer. This is the time by when back in Kashmir, curfew had already been imposed, streets were deserted, manned by government forces. People had heard that Afzal Guru was hanged. The word had spread across the Valley and only the anger was growing. As Mr. Shah got to know later by his jail sources, Afzal Guru, as per regulations, was asked to present his last demand. ‘Let me talk to my family’. Refused. ‘Let Rafiq sit here with me’. Refused. ‘Let me write a letter.’ Agreed. In the backdrop of slogans — the utter urge to “satisfy the collective conscience of the society” — drove the 43-year-old Afzal Guru out from his cell number 1, leaving the gate of his resident Block A for one last time, to the gallows, established a few yards away from his cell. “People are afraid of death; you need to drag them. They resist. No one wants to die — but Afzal Sb. — he walked on his own. He wasn’t afraid,” said Mr. Shah. Reaching on the edge of the compound, Afzal Guru halted for a second; “Not because he was afraid,” but to steal a last glance of late Maqbool Bhat’s grave on his left. “Not a salaam, or anything else, it was just a glance,” recalled Mr. Shah, who was told this later by jail guards. The clock-hand struck 8 am, the sunlight shone in the capital New Delhi and Mohammad Afzal Guru was hanged till death. The sound of plank, resonating the systematic killing of human life — via a simple setup of rope, and a lever — broke the Block B of jail number 3 into tears. Around 8:45 am, the officials came and took everything from the late Peer Sahib’s cell. The rest were unlocked at 9 am. Till 11 am, Mr. Shah, alongside Mr. Gandhy, and Mr. Tantray, kept staring the empty cell number 1; the cell which used to reflect the immense knowledge of an aspiring medical student; a cell that used to resonate with ghazals; a cell — simple — with a rug on cemented floor, a curtained commode, a bundle of books, including the writing of Moulana Rumi and Mohammad Iqbal in Urdu, habitant’s favorite, a bag, and a bucket — the cell of Mohammad Afzal Guru. Amid the web of trees — inside a fenced ground — near the feet of Maqbool Bhat, a place where once Afzal Guru used to offer leftover rice, lies one of the only two marked graves of infamous Tihar; the grave of Afzal Guru. The brutal reality has brought tears into my eyes while reading, & shaken my nerves as many new things are revealed here. May Allah bless our Martyrs highest rewards in Jannat-ul-Firdous. Aameen.